The GFH-300 is a solidly constructed student to intermediate instrument intended to give the learning musician an affordable instrument to develop his or her skills on. It is built with quality materials and craftsmanship that ensure it will withstand the rigorous student treatment an introductory instrument can sometimes undergo. 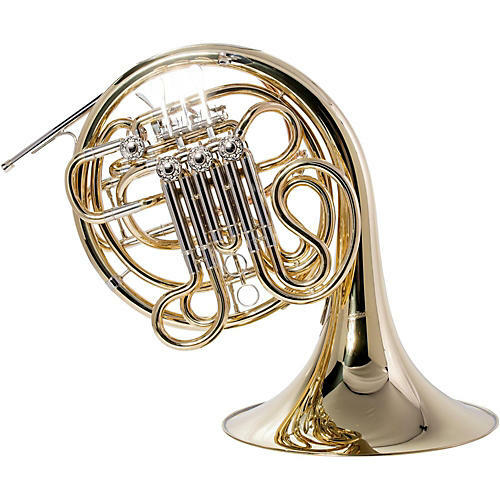 In addition to a lacquered yellow brass body and an annealed (fixed) yellow brass bell, it features a rose brass leadpipe with three phosphor-bronze rotary valves. Nickel silver tuning slides. The package is made complete with a molded ABS case and a five-year warranty.